[Hinn] "Ladies and Gentlemen, I, I, I'm feeling something in the Holy Ghost and I am going to say something right now, and as I am speaking you just keep calling, those who have been healed and saved, please. Steve, do you realize what's happening tonight." [Hinn] "Stephen, there is a change - coming. I feel the power of God so strong telling you this. There is a change coming, not only to this ministry but to the, to the church. Do you feel what I am feeling?" [Steve Brock] "It's an explosion. The presence of God is here." [Hinn] "Let me just tell you something. As I am talking to you I feel numbness on my body." [Steve Brock] "As I am talking to you I can hardly stand up." Somebody pick him up, will you. Stephen, I am feeling, I am feeling numbness all over my body. As you were reading those praise reports." [Hinn] "Listen, listen. I know whether anybody had a vision or not, I am hearing it from the Lord. I am hearing it from the Lord right this minute, as I am standing here. I am hearing from the Holy Spirit that a change is coming. A mighty change - Yes Lord thank you. Yes Lord thank you. I am just hearing the Lord tell me when." [Hinn] "I am telling you!" [Hinn] "March 3rd. I just heard March 3rd in my ears. What's March 3rd? What day is that? We don't know. I don't know what March 3rd what day that, that would, would be. I am not sure where I would be. I don't know what crusade or service or maybe I am not anywhere, but I am, I am hearing the Lord say that to me. Lift your hands and thank Him ladies and gentlemen. Lift your hands and thank Him ladies and gentlemen. God is sending a mighty - breath, a fresh wind upon - it's a Monday - a fresh wind upon your life." — Benny Hinn, December 29th, 2002. 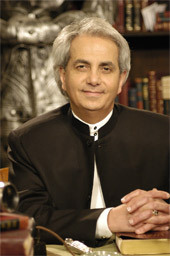 It is worth noting that Benny Hinn's "This Is Your Day" program broadcast on March 3rd, was a pre-recorded program taped two weeks in advance, at the Covenant Partners Conference at the Atlanta Hyatt Regency (Feb. 19-21), though Benny Hinn acted under the pretence that it really was March 3rd for the program. Whatever our spiritual, religious or cultural beliefs, we all realise that the world situation has to change towards a more positive future for us all. On 03/03/03 at 3:33am and 3:33pm people across the globe will join together in three minutes of focused positive thought to bring about a better world for us all. We hope that you will join us for just three minutes on the day and make this world a better place. We believe that when enough people think positive, peaceful and healing thoughts, the global effects become a reality, and that we all seek true world peace regardless of our differences. "Yes. The glory of God is going to visit His mighty church. Yes Lord. Three and a half months from now a great event is going to take place in the world, followed by a mighty move of God in the church. Three and a half months from now something is going to happen in this world: headline news, you'll know it. I will not tell you what I see. You'll just know it, and something mighty will follow in the Spirit. God, the Holy Ghost, is saying to His church - Watch Israel. Watch my people Israel. You will know as you read the scriptures and watch Israel. 'For the days are short' says the Lord. 'The days ahead are evil' says the Lord, 'but I have reserved a place for my people, a place of safety, a place of protection.'" It is most interesting that Benny Hinn refused to reveal the "great event" he said the Holy Spirit was predicting through him, and neither would he give a hard calendar date, rather he left it up to the audience to read the headlines, and they would "just know it" when it happened. Well the three and a half months have now passed, and no great event concerning Israel happened at the predicted time. 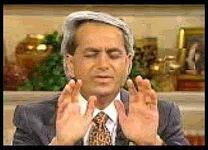 Benny Hinn's prophesies consistently fail to come to pass, which is no surprise considering the long and abysmal track record Benny Hinn has established as a false prophet. God does not speak to Benny Hinn, he does NOT hear from the Holy Spirit, and his failed prophesies prove this beyond any doubt.